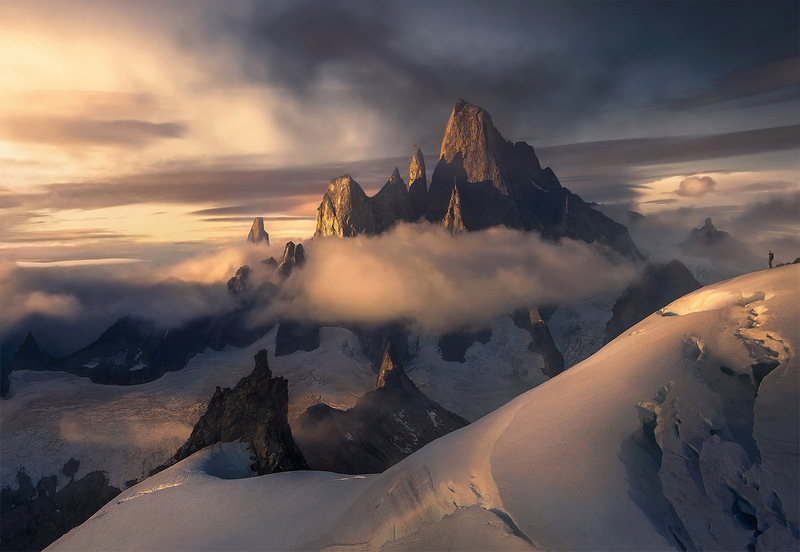 An image depicting a lone figure gazing towards one of the world's greatest mountains, Devil's Thumb, lording over its frozen realm at sunset. . Photo © copyright by Marc Adamus.